Inflation hasn't been a factor in the U.S. economy since the financial crisis, but that could soon change. Two indicators – oil prices and freight transportation – suggest the economy is heating up, and that's usually followed by rising prices. Oil prices, which have been relatively low since 2014, have surged in the last few weeks. Prices have risen to over $80 a barrel this week, an increase of nearly 48 percent in the last 12 months. UBS, the Swiss investment bank, is warning that the price of oil could go back to $100 a barrel. Should that happen, consumers would not only face higher gasoline prices; the price of just about everything would go up. UBS warns that a recession can be triggered when prices rise too quickly. "We should take seriously the possibility of an oil price spike, not least because oil spikes preceded five of the last six recessions in the U.S," UBS economist said in a research note. Economists often find early signs of inflation in the freight transportation industry. And right now, the trucking industry is flashing a warning. DAT, a freight marketplace, matches trucking companies with loads of freight and has been a reliable indicator of supply and demand. Right now, DAT reports the market is extremely tight. In the spot market, where vendors look for drivers to move their products, demand has doubled from April 2017 to April 2018. With capacity pressure building in the marketplace, it may only be a matter of time before it will cost more to ship products, which could raise the price of just about everything. 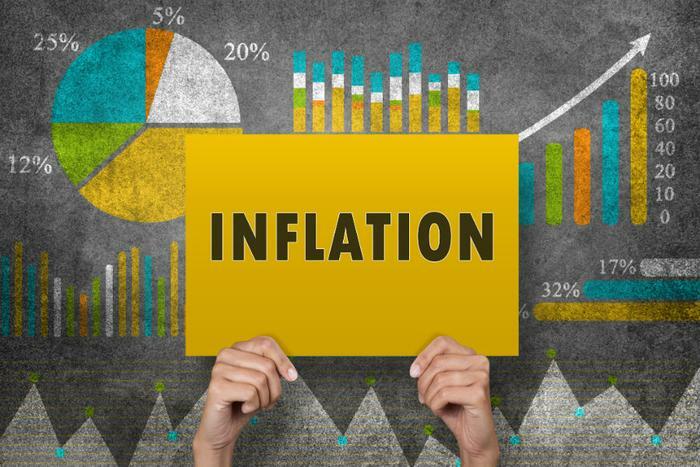 Economist Joel Naroff, of Naroff Economic Advisors, warned of an inflationary threat last December when Congress slashed tax rates, saying it would further stimulate an already growing economy. Today, he hasn't seen solid evidence that firms are raising prices in the face of increased demand or higher energy prices. If the trend continues, consumers might soon see higher prices at the supermarket, as well as when they shop online. Air fares might also rise to cover higher fuel costs.